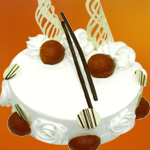 Careers | Cake Shop Mumbai, Best Cake Shop Mumbai, Order Chocolate Cakes, Order Fruit Cakes, Cream Cakes in Mumbai, Deliver Cakes in Mumbai, Cakes for All, Cakes in Mumbai, Best Cake Shop in Mumbai, Cake Delivery all over Mumbai, Premium Cakes of Mumbai, India. At Hangout Cakes & More, we are committed to develop outstanding people. We believe that people are our biggest assets and it is our people who differentiate us in the competitive market. We strive to hire people who are talented, intellectually curious and driven to make a difference. People who come to work here are empowered to contribute from their very first client engagement. They are encouraged to develop their skills working alongside our partners and through our various training programs, which enables them to unlock their potential for growth. At Hangout Cakes & More, we strive to build the capabilities of our people and offer them opportunities to contribute, to make a difference and to develop their careers.